Saw it, loved it, made my own. 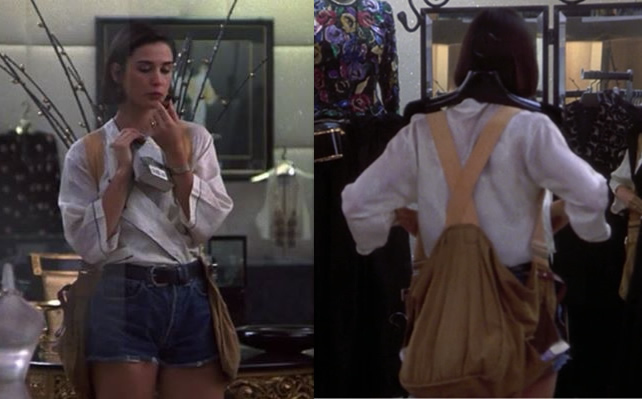 When the film Indecent Proposal was first released I fell in love with the bag that Demi Moore’s character wore. 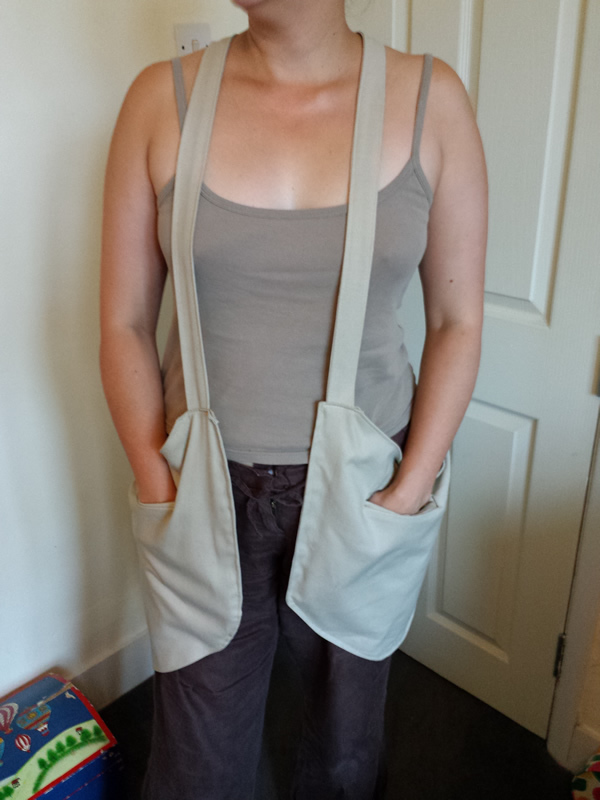 It’s a sort of rucksack crossed with a jacket or waistcoat. Over the years my interest in this style of bag has resurfaced periodically, and each time I go searching to try and find something similar, with no result. Until recently. 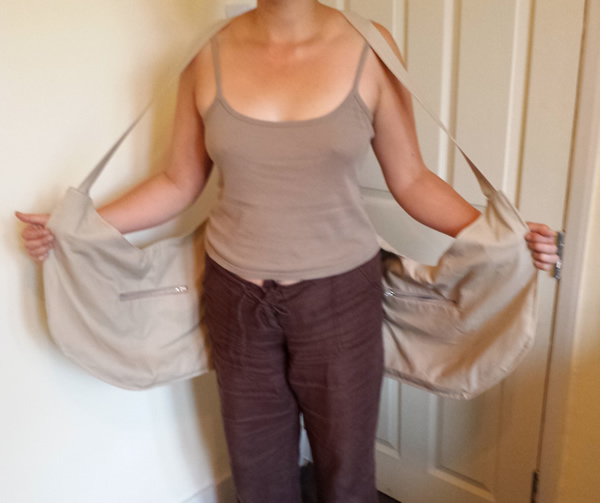 This time my online searching led me to Stand Up Comedy who have made their own conceptual version of the bag. It’s a pretty cool version and I like that there isn’t any bulk at the very back of the bag (which always struck me as being a bit impractical for sitting down on)… but there’s no way I’d ever pay $555 for a bag. I could win the lottery tomorrow and still not want to spend that much on a bag. What’s a girl to do? Make her own of course. 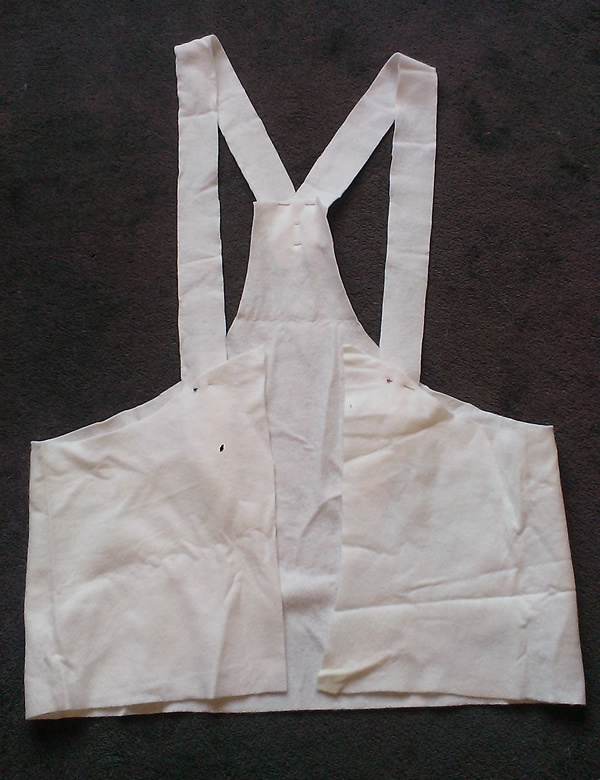 Now I’d be the first to admit that I’m not much of a seamstress. 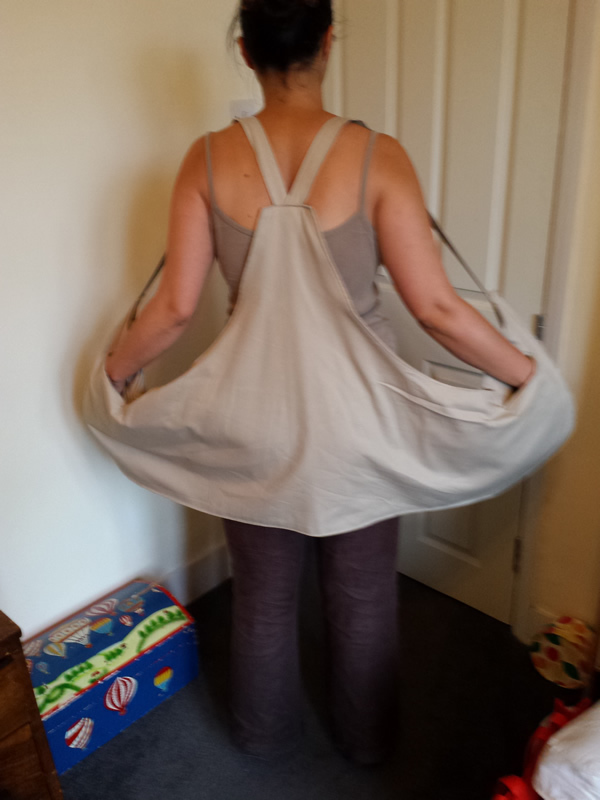 Sewing really isn’t my forte, but as I was making this bag for me it didn’t matter if the stitching was crooked or it was a bit lopsided so I set my nerves aside and went for it. I stared at the photos on the Stand Up Comedy page for ages (and I do mean ages) before grabbing some felt and making a rough version to check the shape and size. Yeah, it really wasn’t a complicated shape was it? 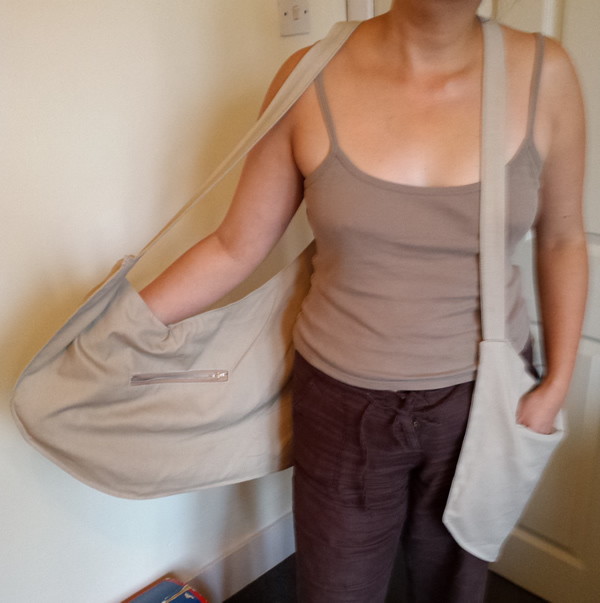 The next step was to choose fabric (I went for a medium-weight cotton canvas in a sort of hemp/stone colour), and also to do some hasty research on YouTube to find out how to make welt pockets. I didn’t take any progress photos as I was too busy trying to get it all done in one day, but here’s the finished bag. 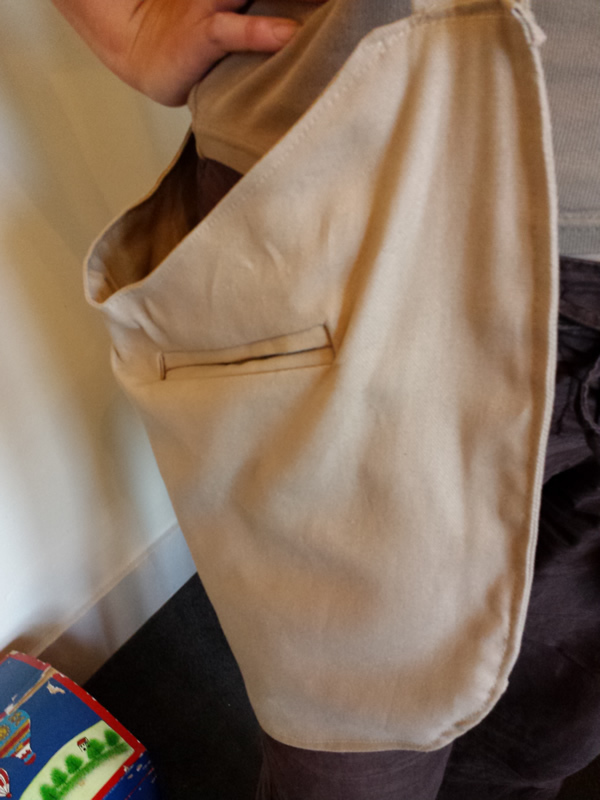 I’m exceptionally pleased with my welt pockets, especially as they were the first ones I’ve ever made. All four pockets are super roomy as I seem to need to carry more stuff around than ever these days (dog-walking accoutrements in addition to my usual tat), and the bag is so comfy to wear. 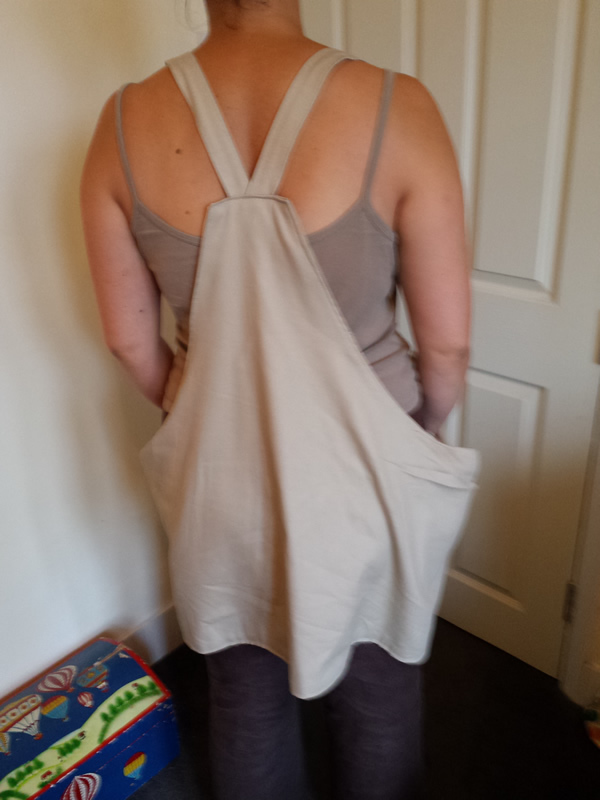 All the comfort of a rucksack, but with easy access to the pockets. Plus it’s roomy enough to fit over even my bulkiest winter jumpers. The best part? 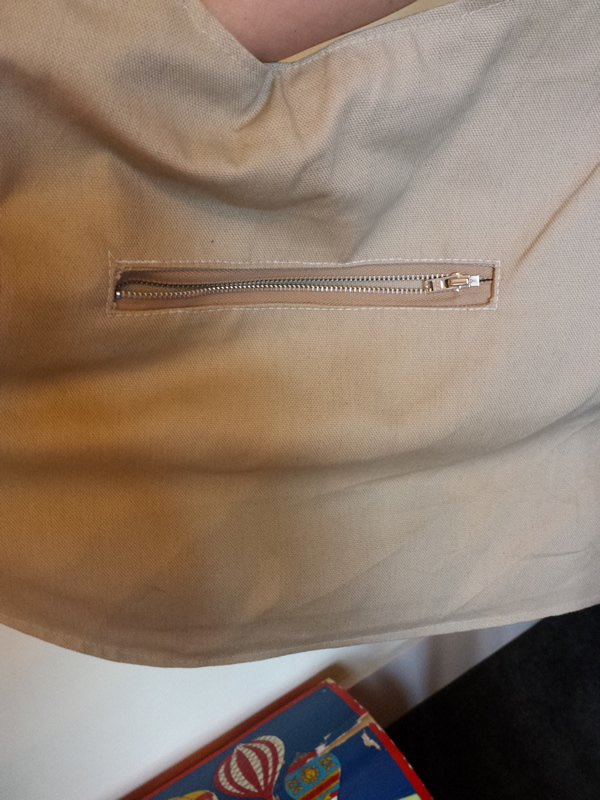 The fabric, zips, and fabric stabiliser all together cost me less than £30. Bargain. Brilliant! You need to sell the pattern! could you please make me one? I want one, too!! Are you making/selling them? Fabulous! I’m afraid I only made this one for myself, but it was pretty easy to do – give it a go!